Posted on March 18, 2017 by Emily Allbon. 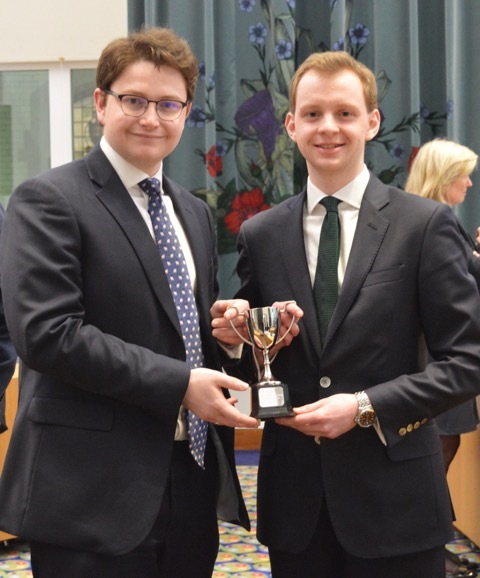 On 5-6 March City Law School students Nick Wright and Mark Baldock competed in the Insurance Law Moot, along with teams from Kings College, Southampton, Queen Mary, Middle Temple and University of Law. The competition is run by the University of Southampton and is now in its third year of running. Sponsors of this year’s competition are Peter McDonald Eggers QC from 7KBW, Clyde & Co and the British Insurance Law Association Charitable Trust. The general rounds were at Clyde and Co in front of experts including Neil Hext QC , Julian Miller (partner at DAC Beachcroft) amongst others and insurance academics from Exeter, Cardiff and Southampton. Nick and Mark made the cut for the final and faced the University of Law team. 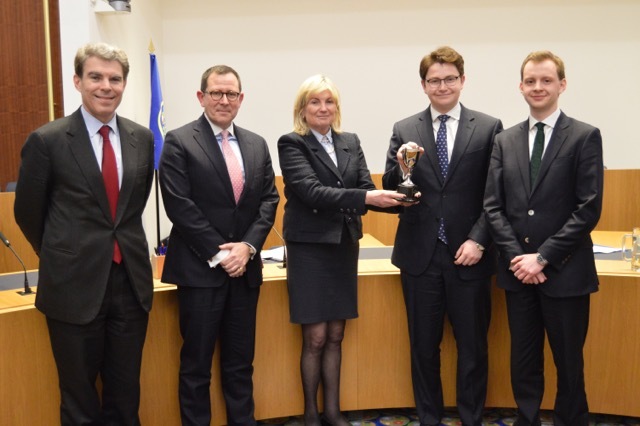 They were judged by Lady Justice Gloster , Tony Baumgartner (Clyde and Co) and Peter McDonald Eggers QC (7KBW) at the Supreme Court…and went on to win! Nick was also named Best Speaker. You can read another report of the moot on the website of the British Insurance Law Association. Thanks to Matthew Channon from the University of Southampton for organising such an enjoyable moot.